Day 1: Arrival at Beijing from your country. Included: (L), (D). Day 2: Visiting Beijing. Included: (B), (L), (D). Day 3: Beijing fly to Chengdu and drive to Wolong for overnight. Included: (B), (L), (D). Day 4: Wolong birding. Included: (B), (L), (D). Day 5: Wolong Balang Mountain birding. Included: (B), (L), (D). Day 6: Last birding at Wolong drive to Jiuzhaigou NR. Included: (B), (L), (D). Day 7: Jiuzhaigou birding. Included: (B), (L), (D). 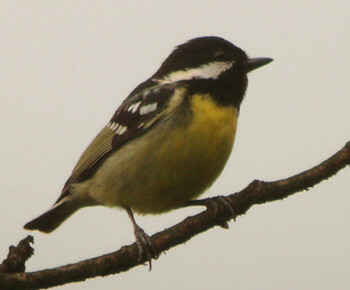 Day 8: Jiuzhaigou birding. Included: (B), (L), (D). Day 9: Jiuzhaigou birding. Included: (B), (L), (D). Day 10: One full day drive back to Chengdu. Included: (B), (L), (D). Day 11: Chengdu fly to Xining. Included: (B), (L), (D). Day 12: Xining drive to Wenquan. Included: (B), (L), (D). Day 13: Wenquan to Maduo birding. Included: (B), (L), (D). Day 14: Maduo to Yushu birding. Included: (B), (L), (D). Day 15: Yushu drive to Langqian. Included: (B), (L), (D). Day 16: Langqian Kanda Mountain birding. Included: (B), (L), (D). Day 17: Kanda Mountain birding. Included: (B), (L), (D). Day 18: Baizha forest birding. Included: (B), (L), (D). Day 19: Baizha Birding. Included: (B), (L), (D). Day 20: Langqian drive to Wenquan. Included: (B), (L), (D). Day 21: Wenquan drive to Heimahe for birding. Included: (B), (L), (D). Day 22: Salt lake birding. Included: (B), (L), (D). Day 23: Qinghai lake birding. Included: (B), (L), (D). Day 24: Drive back to Xining. Included: (B), (L), (D). Day 25: Xining fly back to Beijing. Included: (B), (L), (D). A full package tour include accommodation,food,private ground transportation, entrance for all NR, English speaking guide, agent fee and goverment tax.